This song is revamped version of the famous Badshah and Faizilpuria number ‘Kar Gayi Chull’ has become a hot-favourite in all the clubs. Shah Rukh Khan is so full of energy in ‘Jabra Fan’ that it’s hard to believe that the superstar has crossed 50. He makes us wanna be like him! Himesh Reshammiya is back with a bang with Teraa Suroor. His songs are being loved just like in the past! Check out Teraa Suroor Music Review and Soundtrack: Himesh Reshammiya has still got it! This version of High Heels is sung by Jaz Dhami and Aditi Singh Sharma with music by the Meet Bros and lyrics by Kumaar. The rap by Yo Yo Honey Singh is the same as the original number. The much-loved song of Bombay Rockers has received a make-over for ‘Rocky Handsome’ with more Punjabi lyrics than the original number. Darshan Rawal’s voice has spread it’s magic with the love ballad ‘Main Woh Chaand’. ‘Bolna’ is sung in the soulful voices of Arijit Singh and Asees Kaur, the heart touching lyrics are written by Dr. Devender Kafir and the music of the track is composed by Tanishk Bagchi. 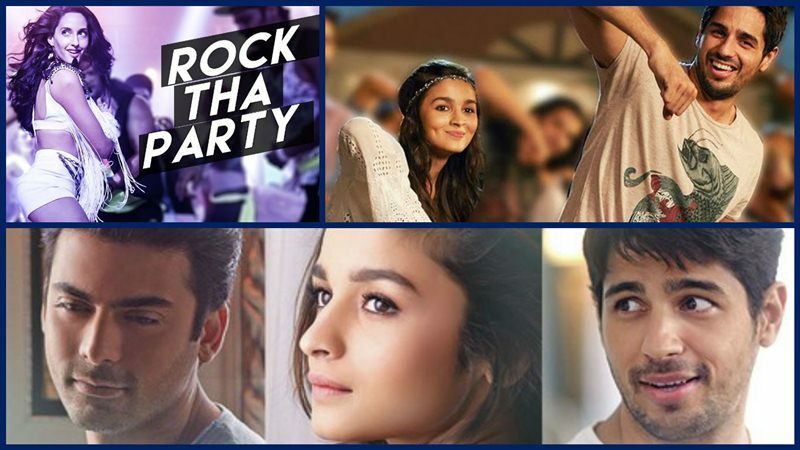 Tune in to the all other the songs of Kapoor and Sons Soundtrack here. Sanam Re is still spreading love in the country! This amazing song is sung by Arijit Singh, composed by Amit Trivedi and written by Swanand Kirkire. You just can’t get enough of this song and the fact that Akshay Kuamr looks so hot in the video! Are these songs already added to your playlist? Tell us which of these is your favourite track below.